In response to statements by Israeli Prime Minister, Benjamin Netanyahu, the official spokesperson of the Palestinian President, Nabil Abu Rodeina, said that there can be no peace or security without establishing an independent and contiguous Palestinian State, with East Jerusalem as its capital. Abu Rodeina stated that Israel, and its Prime Minister, are just avoiding any sort of commitment to real and comprehensive peace, and are constantly violating numerous United Nations and Security Council resolutions. He was responding to statements by Netanyahu in which he said that the security responsibility in the western part of the Jordan River will always be under full Israeli control. Netanyahu also said that there will be no Palestinian State but instead “a little more than a self-rule government, and less than a state,” while maintaining full control on border terminals in the West Bank. 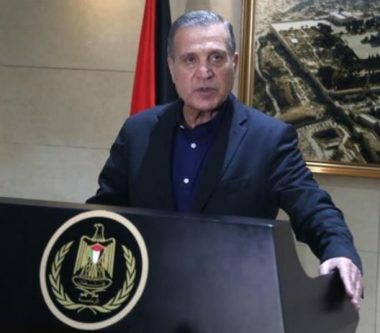 Abu Rodeina said that the Israeli government is determined to destroy and devastate any chance for real peace, and is instead looking for vague excuses and statements. He added that the Israeli policies, and the seriously-escalating military violence against the unarmed Palestinian people, the illegal confiscation of their lands, and denying them their basic, internationally guaranteed rights, and the ongoing construction and expansion of illegal colonies, will only lead more tension that could inflame the entire region.